North Creek Ski Bowl has a cherished history beginning in 1934 when the first snow train brought 378 winter enthusiasts to North Creek. The Bowl is Gore's Original base camp and the second hub of Gore Mountain. Where we're all locals! The North Creek Ski Bowl is located at the foot of Little Gore Mountain, offering year-round recreation. 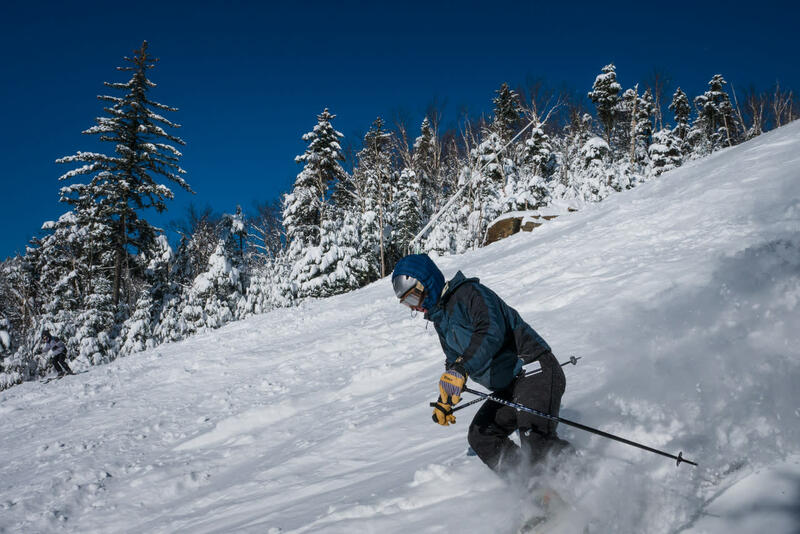 Winter at the North Creek Ski Bowl includes alpine skiing, a half pipe and boarder/skierX course, twilight skiing and riding under the lights of Village Slopes. Gore Mountain Nordic Center is a one-of-a-kind facility. All levels of cross-country skiing and snowshoeing can customize the day or evening on lit trails with varying inclines and wooded routes. Skiers and snowboarders can take the Interconnect - the Hudson Chair to the base of the Burnt Ridge Quad, which gives from the Ski Bowl to Gore's other trails. Ski or ride peak-to-peak without a shuttle ride! Hang out in The Yurt - new and old friends are likely to be there. The recreational fun doesn't end in the spring and summer. The North Creek Ski Bowl offers mountain biking, hiking, and more. Your visit to Gore Mountain isn't complete without a few runs at the historic North Creek Ski Bowl!